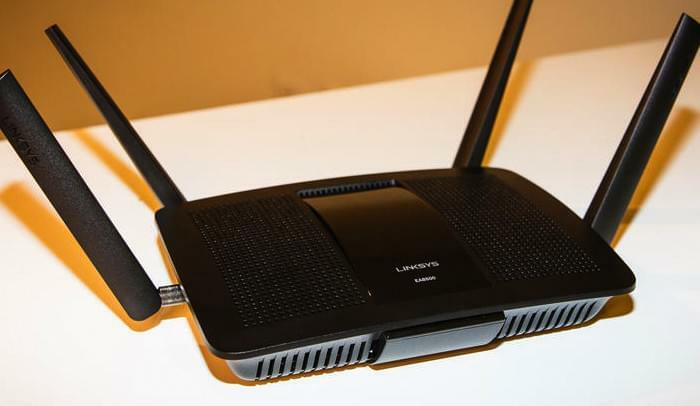 The router you should buy depends on several factors: What you primarily do using Wi-Fi; the layout of your home or office; the types of devices you want to connect and other rather mundane technical details. However, there are some fundamental truths you should know about buying routers that really have nothing much to do with technical specs. Here is an honest guide to buying a router. If you buy cheap, you get cheap! This is a general rule for just about anything, no? Sure, you can go to eBay or Amazon and buy a router for $20. But don’t be surprised when you can’t connect to Netflix in the upstairs master bedroom of your multilevel 2500+ square feet home when the router is connected in your basement to the incoming cable connection. You know why a router would be that low of a price? Because it’s using older components. It’s not using the latest signal amplifiers to boost Wi-Fi. It may not even support later wireless standards like 802.11n. Wireless connectivity is increasingly fundamental for Internet access in a home. You don’t have to buy the most expensive router on the market, but buy one that costs at least $75-$100. It’s not as if you have to buy a router every year. Very recently, a friend expressed his complete frustration about his home Wi-Fi. “It just disconnects. I have to reboot it every day!” He had just bought the latest MacBook Air and wanted to connect it to his router. We went through a couple of troubleshooting possibilities. Agitated, he said he had already tried all the suggestions I came up with. That was the end of our troubleshooting. If your router wasn’t manufactured in the same decade as your wireless device, get a new router if you are having connection issues. Especially before you bother your IT friends. No! No, no, no, no…! Those “Mbps” speeds you see printed on those fancy router packages? They have nothing to do with your Internet speed. The speed numbers you see printed on routers are the speeds at which the router transmits data to other devices on your network, they will not help your Internet speed. 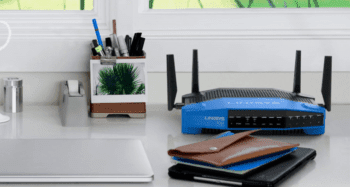 Don’t get me wrong, a new wireless router can improve your Internet connection just because it’s new technology and can handle bandwidth better than older routers. 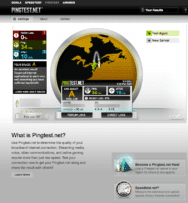 However, your Internet speed is determined by the level of service you get from your ISP. It can fluctuate because of myriad reasons but the router speed is not one of those reasons. 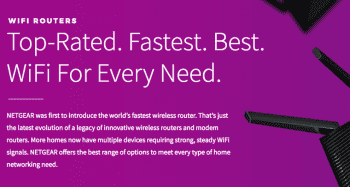 So what would be the reason to choose a 1900Mbps router over a 1750Mbps? Well, a higher-speed router provides better performance for things you do inside your network. For instance, I enjoy the occasional Marvel Super Heroes 2015 game on the Steam platform. I like Steam because you can play with others inside of your network by streaming a game to other devices connected to your router. A 1900Mbps router is capable of faster data streams than a 1750Mbps router. That internal speed, which is called throughput, differs from Internet speed, which we refer to as bandwidth. If you don’t do a lot of device-to-device streaming or care about how fast internal network streaming and file transferring can be, save a few dollars and go for the 1750Mbps router over the 1900Mbps. A lot of people buy their routers from Amazon. They also tend to buy based on Amazon reviews. Crowd reviews are generally a good indication of how well a product works or not. However, it’s a little trickier when it comes to routers. Look at any router review on Amazon and you will see wildly varying opinions about performance. This is because a router’s performance is so subject to environmental influences. Two people with the same router living in two different-sized homes may have completely different experiences with the router. Baby monitors, microwaves, water, the number of lifeforms occupying one space–even plants, can affect Wi-Fi. If you want to research before you buy a router, by all means go ahead and read Amazon reviews. However, you should also read professional router reviews. These are review conducted in consistent, controlled environments. Some really good sites for router reviews include SmallNetBuilder, The Wirecutter and CNET. And if you are looking for a router for your small business check out these small business routers.